It is the time of slates again- digital slates- and you can write down your notes in your tablets, you do not need books anymore! Android Tablets are turning out to be a novel mobile device ideal to watch movies, play games, and become the epitome of your entertainment charm- whether you are on the move or in your home. Most of the tech geeks, who have the desire for possessing a tablet usually, are students, and their budget is not enough to buy the best. These prices are mostly based on the Amazon listings, so let us examine these best android tablets below $100. Coby Kyros Android Tablet Perhaps the best option is the Coby Kyros tablet- with a 7-inch touchscreen with 800 x 480 pixels resolution, Wi-Fi connectivity, 1 GHz processor, 256 MB RAM, and 4 GB memory, it comes loaded with Android 2.3 Gingerbread. Browse the net, watch videos, check emails, and play music in your tablet. Velocity Micro T301 Cruz Under $100, the next best thing in the tablet world may be the T301 Cruz- featuring an ultra responsive and crystal clear capacitive with 4:3 aspect ratio and 800 x 600 resolution. The portable multimedia device has useful apps preloaded like Dictionary, Astro, OfficeSuite, Notepad, Calender and so on. 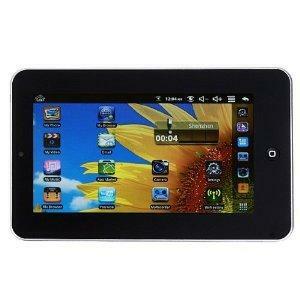 The Android 2.0 tablet comes with a dual core CPU and 802.11n Wi-Fi support. 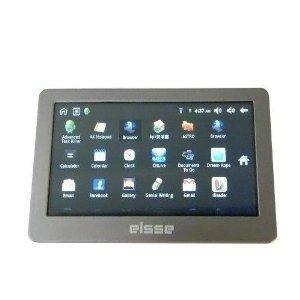 The tablet from Elsee electronics retails at just under $70 at Amazon! In addition, it is loaded with a lot of useful features- 4.3-inch HD display touchscreen, Wi-Fi support and a terrific sleek design. 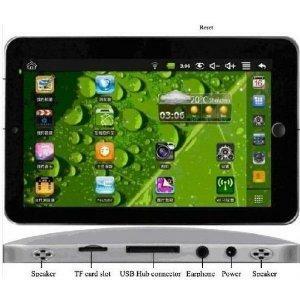 It is an Android 2.1 tablet, and you can have all the good things on Android gadgets. The Android 1.6 tablet from Texas Teknology comes with a 7 inch 800 x 480 capacitive touchscreen 450 MHz processor and 256 MB RAM. The tablet has an Ethernet connection and USB port for connecting networks. 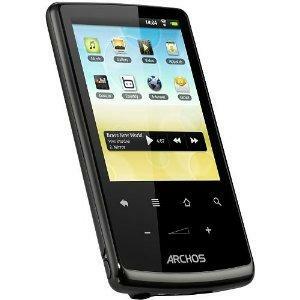 It is preloaded with the Skype application and has a high definition video playback MP3/ MP4 player. The 7-inch TFT display of the tablet has a resolution of 800 x 600 pixels. 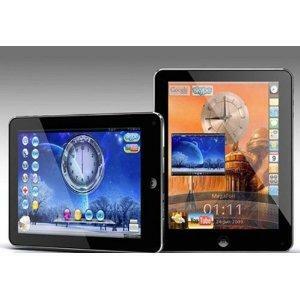 The Android tablet has an ARM processor with an internal memory of 1 GB and comes with 802.11 b/g/n Wi-Fi connectivity. The Multimedia Tablet and Color eReader with Kindle is perfect for reading books, magazines, and newspapers especially those from the Kindle store of Amazon. 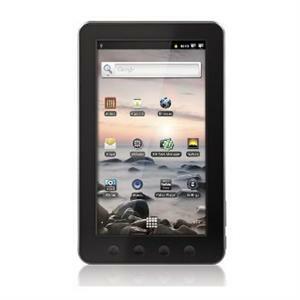 The Android 2.2 slate features a 7 inch 800 x 480 touchscreen, a high performance 800 MHz CPU, 256 MB RAM, 4 GB flash memory expandable to 32 GB, has Wi-Fi connectivity and an optional 0.3 MP camera. It features Android 2.2, which supports Flash 10.1- on a VIA8650 800 MHz processor chip with 256 MB RAM and 2GB internal memory. The two-point touch display has a resolution of 800 x 480 pixels. It supports Wi-Fi and 3G networks and comes with a built-in 1.3 MP camera. 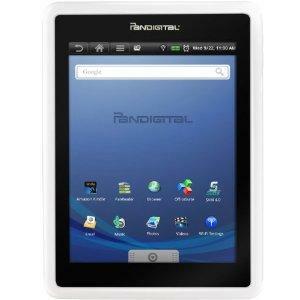 It features a 2.8-inch TFT touchscreen with a QVGA 320 x 240 pixels resolution. It supports most video and audio formats and has an internal memory of 4 GB, has Wi-Fi connectivity and enables access to the Android app store using the AppsLib store. Careway Android Tablet PC Running on a VIA8650 800 MHz processor it is loaded with Android 2.2 on a 256 MB RAM and a 2 GB memory configuration. 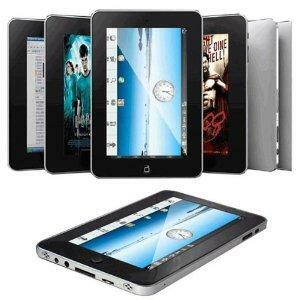 The 7-inch resistive touchscreen 800 x 480 resolution supplements the HD video and audio support. 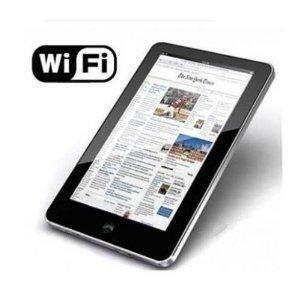 It supports both Wi-Fi and 3G networks. This 8-inch tablet from All Land Networking comes with Android 2.3 OS on a MAPX210 1GHz CPU and 4 GB internal memory expandable to 32 GB with both Wi-Fi and 3G support. The WVGA TFT resistance type- display screen has a resolution of 800 x 600. 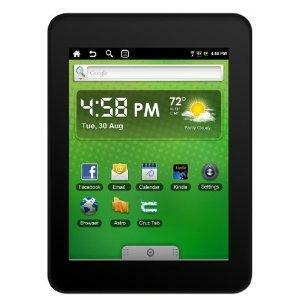 Some of the best android tablets below $100 that are quite affordable and best rated are given here. All these have handy features that can serve your purpose of checking emails, logging into social networking sites, browsing the web and much more.